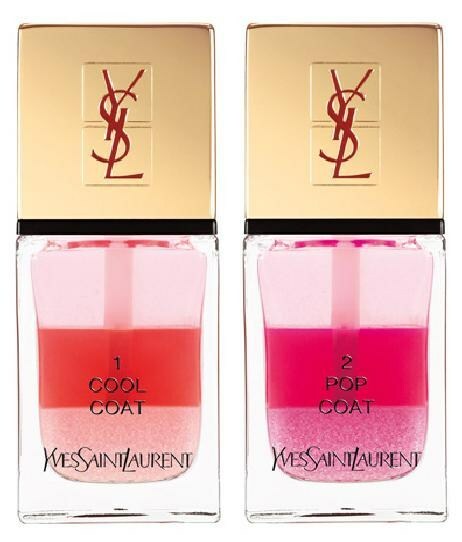 I am soooooooooo excited to share with you the new Spring Summer Collection of polish from Yves Saint Laurent. 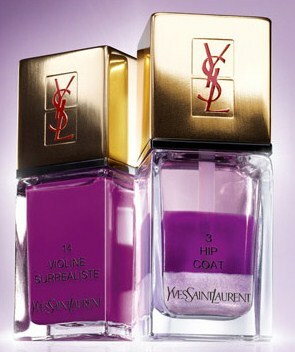 "Inspired by the Couture Tie & Dye, YSL nail lacquer plays colour in gradation effect just like a sophisticated total look. The coloured base is covered by a "pop coat"for a sugary glossy result. Top Coat can also be used alone for a “sheer” glittery result on the nails." 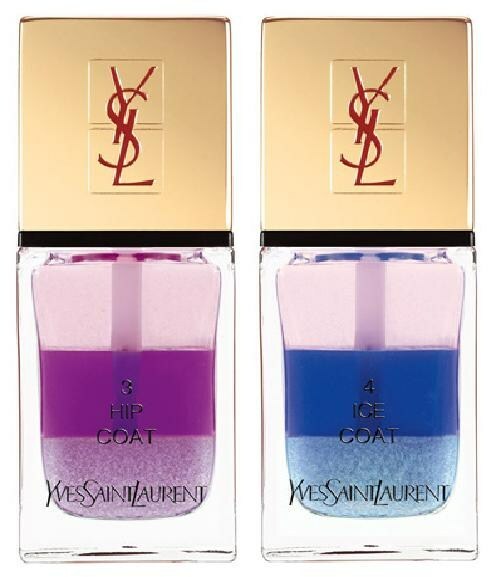 Already on sale on the Yves Saint Laurent website and the Bloomingdales website for $25 a polish I am beyond excited to see actual swatches of this! Apply the coloured base on the entire nail. Once the base dries, shake the Tie Die Top Coat and paint over the base coat. The Top coat can also applied on its own for a glittery sheer effect. I'm really curious how this will swatach. It better be pretty awesome for how much it will set us back. if this is anything like the color layered polishes that you're not supposed to shake, also advertised as tie-died nail polish, this will be a big fail. But at $25 a bottle, maybe they actually figured out a way to make it work! I want to see swatches! I'm more excited by Vert d'Orient, the new summer color. Saks has a picture of it but it's not available for sale yet. This is a "pearly colored TOP COAT"--direct quote from the box. You shake these up before you use them. You can use them over a color or over the bare nail. I have all 4. They are GORGEOUS. Shimmery, glittery, sparkly, sugary goodness. I already bought backups.